truffles, bars, biscuits, spreads, ice creams, cakes, and even a liqueur earning accolades in the 2014 edition. But halfway through enviously scrolling down the lengthy list of single, double and even triple-starred products that had passed the lucky judges lips, I paused for thought. If I could get my own paws on a collection of these so-called corking chocolates, then I could finally be the judge of whether the awarded products really did taste great. And so, dear reader, I did just that. And after extensive edible experimentation, I must concur with the initial theory. The products I procured did indeed all involve some particularly Great Tastes. But my own independent research was rewarded with a wealth of tasty treats; proving incontrovertibly that a bit of healthy skepticism can be a most wonderful thing. These are, quite simply, all and every kind of amazing. Do not let the unassuming appearance fool you – after one bite you’ll eat with your eyes firmly closed in order to better savour the flavour anyway. 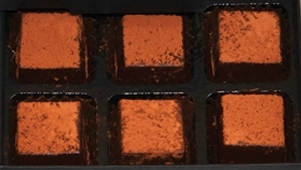 The chocolate is made with a richly aromatic Cote d’Ivoire cocoa that coats the palate and tickles the tastebuds – with little of the bitterness and astringency that can prove particularly pervasive in dark chocolate. So the taste is right, and the truffle itself is right-on; boasting excellent ethical credentials owing to the treatment of the beans and the human beings who farm them. But African Queen was not crowned with that that trio of Great Taste stars for doing good. And accordingly, the truffle tastes terrific. The praline and Breton biscuit base tastes beguilingly like freshly-fried, syrupy jalebis; the flavour of the Tanzanian honey ganache somehow suggests ‘blackcurrant jelly baby’ to me; and the whole thing leaves my gob properly and utterly smacked. As sweet as it sounds? Surprisingly, no. Many bland banoffee-flavoured food products can make even those with whole mouths full of sweet teeth feel sour; leaving you with little more than a big fat sugar rush from trying to find flavour where there was none. If you’re one of the many who love the idea and often hate the execution, mark Marc’s banana caramels as ones to try. More of the same, yet oh-so-distinct from its banana caramel cousin. 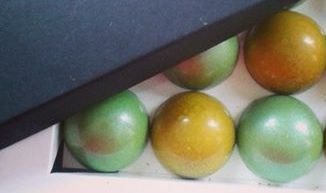 Again, the shell is made with milk chocolate created with cocoa from Venezuela, Javan and Madagascan; and again, it’s shiny and crisp – although this one is snappily dressed in a fresh green coat which belies the lime you’ll find inside. The caramel’s character is less lively than you might expect from the sour citrus – but more lovely than you could imagine. In the caramel, the fruit’s flavour has taken on a zesty, lusty burnt sugar profile that makes the whole affair taste all the more buttery and utterly blissful. I must have mustard. In my kitchen, you’ll see the seeds popped in hot oil for flavouring Indian dishes; and the green mango-mustard relish called kasundi appearing everywhere. The oil is essential in my kitchen for making the Bengali food I hold so beloved – even lending its sweet pungency to this chocolate cheesecake recipe. So I did not find the fusion of mustard and chocolate confusing. Fifth Dimension is known for quirky flavours inspired by destinations – this, unsurprisingly, is the ‘Meaux’. Although you might anticipate an eye-watering experience, inside the shiny shell the filling is actually pretty mild and mellow, with a rounded flavour and a slow burning, gentle warmth. It’s certainly not Colman’s…. but I guess that would be the Norwich. These satiny sacks offer a clever way to get a chocolate fix with so few calories that they really don’t count. Using crushed cocoa shells – a by-product of the chocolate-making process – to produce yet another treat is a canny plan – and I am a fan. Cocoa tea seems to be soaring in popularity; and Hotel Chocolat is one of the few to do the drink in the UK. I used to brew a cup or two of the loose shells the company sold as ‘Cocoa Royale’, but the new bag format means less mess. It may not be love at first sip; there’s a bit of bitter backbite like that you find in 100% cacao chocolate; but there’s also a round richness that makes this saintly drink seem sinful. Quite simply, one simply would not anticipate that simply steeping shells in water would yield such heady, lively, lovely flavours. Hotel Chocolat does a great job of squeezing every last drop of goodness out of every last cocoa bean. In this case, a small-batch Brit beer is infused with cracked cocoa shells sloughed off during the chocolate making process. If you profess to enjoy an ale whose flavours include smoky cocoa, tobacco and coffee, it’s worth learning about this one. The curious combo of chocolate and beer is not so queer, as I explored here. In this example, malted barley adds a meaty savour, saving the brew from becoming sickly. 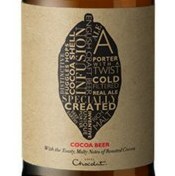 Don’t expect a shocking chocolate taste – Hotel Chocolat’s brief for Suffolk brewery Brewshed was to use the cocoa to subtly enhance the ale’s own character, not mask it. I was impressed by Iain Burnett’s wares at last year’s Salon du Chocolat. But then, I was impressed by a lot of choc at that splendid show. So when I saw the ‘Highland Chocolatier’ was amongst the awarded at the Great Taste Awards, the pressing need to extend my knowledge of his range was impressed upon me afresh. 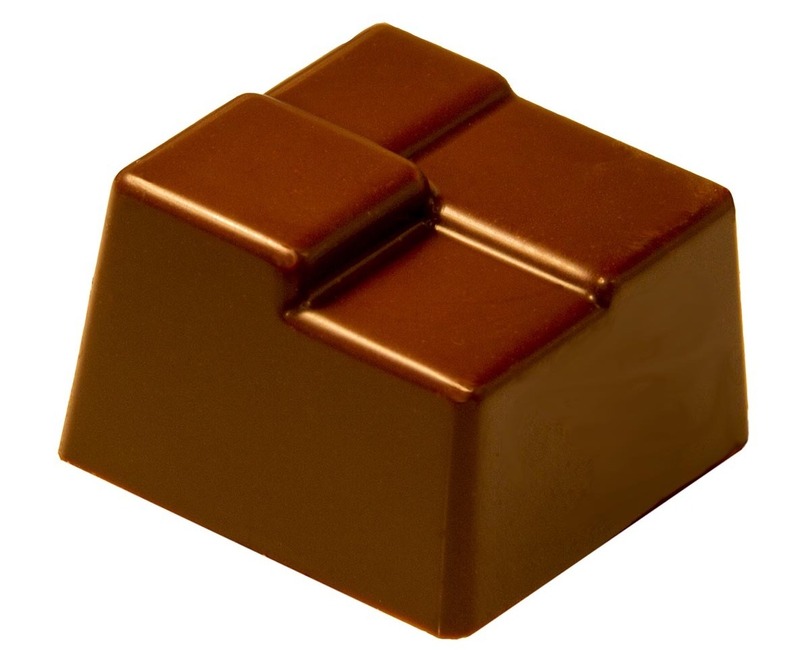 A milk chocolate truffle might lack exoticism, but that simplicity only means there’s all the more room for error. With these, error takes up no room whatsoever; setting aside all the more space inside the shell for a silky-dense, hand-cut ganache whose astonishing cocoa clarity is remarkably undampened by the dairy. The gilded pattern on the choc’s top denotes the fact that this is indeed a solid gold effort. 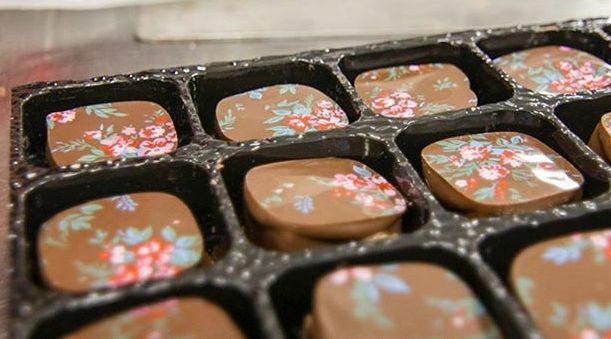 Once again hewn by hand, Iain’s raspberry and black pepper velvets bear a pretty pattern whose hue echoes the fruit that flavours the filling. The middle is as melting as its milk chocolate counterpart, although here the cocoa notes sing in symphony with the tart relish of raspberry and the perfumed heat of black pepper. That pepper takes centre stage in the marvellously melty middles, in fact – and lingers for an encore long after the other flavours have faded. As The Spice Scribe, I’m a fan of that fragrant fire, but the pervasive quality could be slightly too punchy for those who would prefer purely to perceive the fruit’s beauty unadulterated. I’ve never quite understood Nutella nuts. Yes, I used to clean out a single-serving blister pack with its accompanying tiny spatula when I was a nipper, and thoroughly enjoy every gobbit of the sweet treat; but as an adult I find the spread boasts much the same texture as that plastic packaging… even if it’s scooped straight from the jar (hey, I never said I stopped TRYING to like it). But I DO love a good praline or gianduja that’s devoid of that dense waxiness and features a nice number of nuts – a good few more than Nutella’s self-purported ‘2 per portion’ . 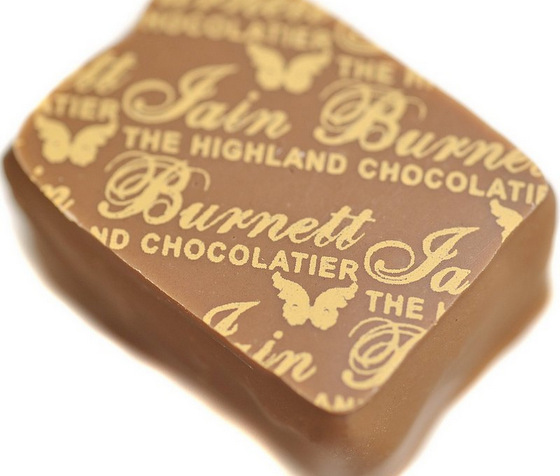 Iain Burnett is, in a (hazel)nut shell, nothing short of glorious goo. 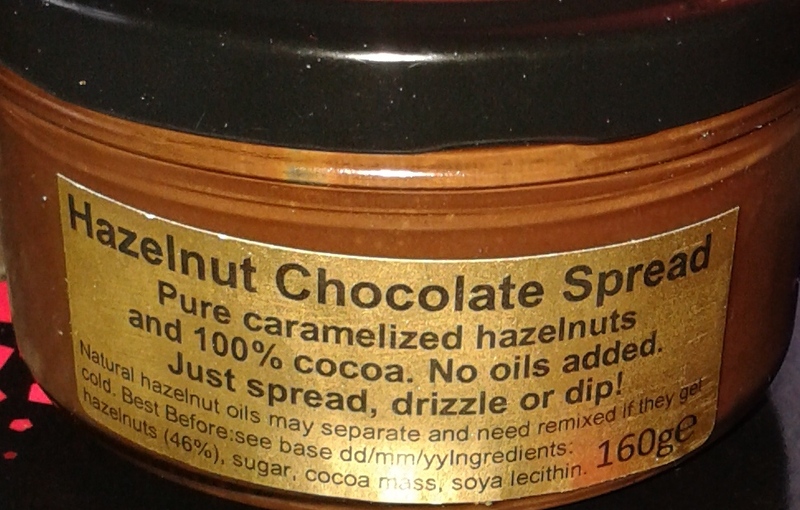 Look at the label – caramelised hazelnuts and 100% cocoa. Not too sludgy, not too fudgy; just crystal-clear, fulsome flavour from a spread that melts in, not sticks to, the mouth. If the combination of a chunk of chocolate and a coffee is your cup of tea, and if you like both those items dark, rich and intense, you’ll enjoy Freshly Ground. It is in fact perfectly possible to make a chocolate-free bar using just ground coffee and cocoa butter, as evidenced by the KA-POW! bar from American chocolate artisans Sahagun, but, to true chocoholics who would add chocolate to curry if they could, willful removal of said substance just seems silly. 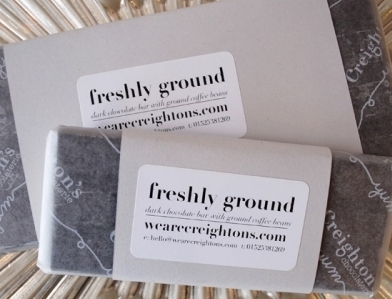 Creighton’s rightly keeps the chocolate where it ought to be, but this bar certainly packs a punch. The inimitable coffee flavour shouts rather than whispers – what’s more, it’s used a decent brew, too. Freshly Ground is a brooding bar, coming over less like coffee-flavoured chocolate than as a perfect and equal marriage of two top tastes. They’re nutty and they’re nutmeg-y – so far, so Ronseal. But what they don’t say on the tin is that these are very, very nice. Adding the adjective would make for slightly more awesome alliteration; something I can always advocate. The chocolate coating has a good melt and a fine flavour – it is a key part of the truffle, as it should be; not simply a shell. The silky praline filling is flavoured with just a dusting of nutmeg – one of the spices whose application one must exercise the most caution over. A single excess sprinkle can be a lethal overdose for any dish. 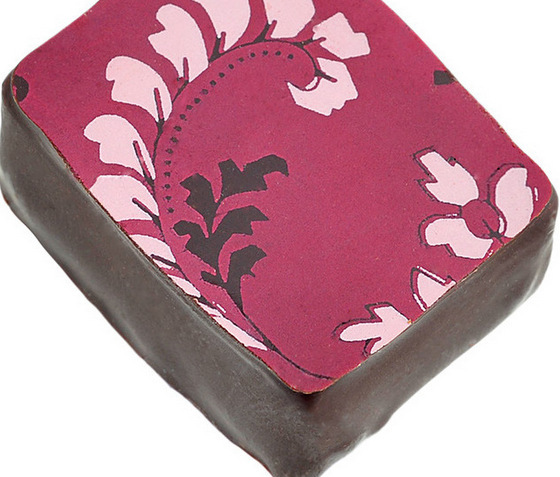 Chococo has administered the perfect amount of freshly-ground spice, perfuming the praline and giving it a fine warmth. I have to be in the mood for mint. In my sensory imaginings, chocolate is a warm food and mint is a properly chilly Billy. I’m talking sensory impressions, not the temperature a food is eaten at – even eaten cold, my choc feels ‘hot’. This kind of classification is not uncommon in cultures the world over – dependent of one’s current demeanour, clashing combos can be calamitous or complementary. 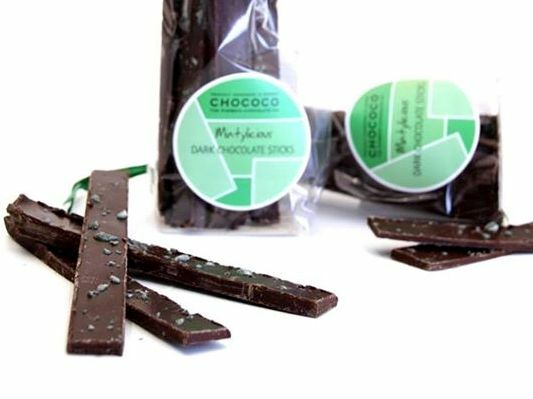 And when I’m so inclined, Chococo’s Mintyliscious sticks are a delicious way to get a fix. Chocolate paired with cool menthol should boast a certain crispness and not be so lively that its own flavour competes for attention with the fresh herbal bite that should rightfully dominate. Here, 67% dark chocolate from Grenada is a cracking choice – and when the resulting product is in the vicinity, I find it hard to keep my cool. You know those ice-cream-on-a-stick ads where they amplify the crack of the chocolate coating as a model who clearly does not mainline the Magnums she’s selling sinks her teeth into the ice cream beneath? 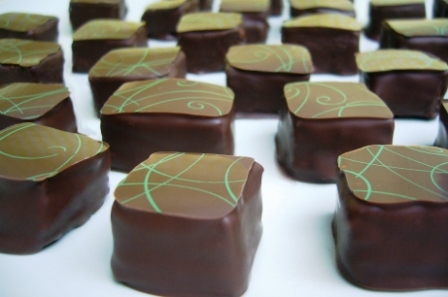 The delicate, decadent dark shell on Steph’s fresh lime chocolate has a far finer crispness that’s every bit as audible. And its creator was audibly delighted with the award. What lies beneath is not, or course, snow white ice cream, but a gloriously lively lime ganache whose profile is a sort of pick’n’mix mashup of flavour memories – sucking those cellophane-wrapped chocolate lime sweets; sipping a brisk, frisky cocktail full of squished citrus fruits and brown sugar. Each piece is handmade and spanking fresh. Trust me; the short shelf life is really not an issue. Some fantastic chocolates there, looks like I’m going to have to update my “must try!” list. Agree with you on Nutella…as much as I enjoy it ocasionally, it’s nothing compared to true gianduja! The Great Taste List doesn’t appear to work, could you re-link it? Just checked – def works! Thanks, it’s working for me now.